The startling truth though is that we have more time than in the past. American men now work on average 12 hours less per week than 45 years or so ago. Labor-saving devices like dishwashers and microwaves mean that we spend less time toiling on house chores than we used to. But one reason that we feel so busy is that our attention is being monopolized, or, more accurately, monetized. Quiet is now a luxury, and that sense of calm you might feel entering an airport lounge is a recognition that outside those doors, your attention will be under assault. Attention, it turns out, is a finite resource. So is share of wallet. Both are related. That’s why no matter what business you’re in today, you’ll find you’re competing with Google, Facebook, Apple, Microsoft, and Amazon. The smartest companies realize what they’re up against and find ways to break through. The average American spent 12 hours and seven minutes a day consuming media in 2017. As eMarketer noted in its report on the topic, “the amount of attention that an individual can provide to media has its limits, though, and growth is slowing.” However, there are ways to push those limits. For instance, smartphones let us consume media while we’re consuming other media. It also unlocks dead time waiting in line or being bored. But almost all of that smartphone time is spent using a handful of apps created by those companies. If you want to compete with your own branded app, good luck. About half of people aren’t interested in downloading new apps. Of course, much of consumers’ smartphone time is spent on social media apps, including Facebook and various messaging apps. To compete in this environment, you need to provide media, products, or experiences that consumers want to share. One brand that has managed to break through is HQ Trivia. In 2017, many people were aware of the potential of live, mobile-based video, but few had ideas to leverage it. HQ Trivia combined an old format (game shows) with new media (live mobile video) and chose the right format length. At 12 minutes or so, HQ Trivia is enough time to duck out of work for a few minutes. It provides a welcome distraction for people who have a phone nearby anyway. Another brand that’s adept at commanding attention in this environment is ZipRecruiter. ZipRecruiter doesn’t just sponsor a lot of podcasts, CEO Ian Siegel has turned his ads into short podcasts in which he asks provocative questions like “What do eyebrows have to do with making the right decisions?” Like HQ Trivia, ZipRecruiter has earned the consumer’s attention. That’s not the only limitation on consumer-focused businesses. The average American’s household income is $73,298. That income is divided among taxes, housing, healthcare, and entertainment, among other categories. New temptations emerge all the time too. A decade or so ago, there was no such thing as an App Store. Now, we spend $89 billion a year — plus many hours of our precious attention — on apps. That means you’re one brand, competing in an expanding world of categories. There are grave costs to not being no. 1 in your category because then you’re capturing a smaller share of wallet than your competitor. If you’re not the first choice, then you will suffer. That’s where Amazon, for one, poses a major threat. With its trusted brand name and fluid brand identity, Amazon could enter many categories and become no. 1 or be among the top five. Meanwhile, Amazon already has offerings in almost every product category — including electronics, clothing, and home accessories — and there’s no reason why it can’t expand into more. The question then for any brand is “what can I offer that Amazon doesn’t?” One answer is quality. People get Blue Bottle coffee through the mail because it’s better than the mass-market coffee that Amazon offers. Another is a sense of community. There are countless weight-loss products on Amazon, but companies like Noom offer the opportunity to connect with others and use peer pressure to achieve weight-loss goals. In both cases, the secret to competing for more share of wallet relies on Amazon’s inelasticity. You can’t beat Amazon on price, but you can by offering a better experience, whether that’s a tastier cup of coffee or a weight-loss plan that actually works. 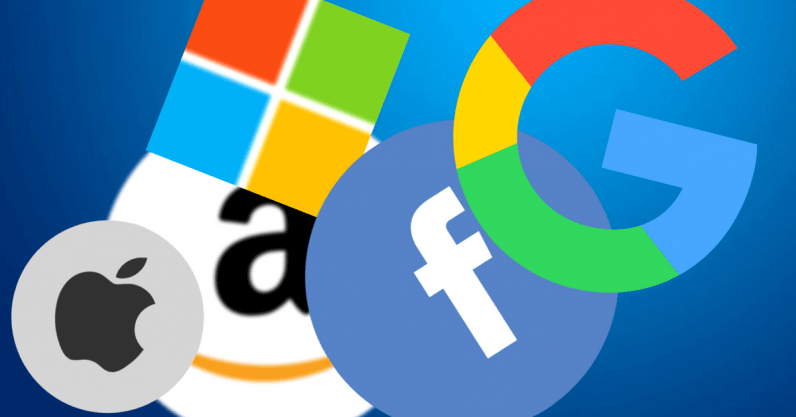 Time and money have always been limited, but there have never been companies like the Facebook, Google, Microsoft, Apple, and Amazon that have their tendrils into so many businesses and have a monopoly on consumer attention. That’s why everything competes with everything. Going to watch your kids’ Little League game? Then that’s an hour away from Facebook, unless you can’t help yourself from checking in on your phone. And that’s the problem. Even when we are engaging in activities, we’re often multitasking. The upshot is that while the technology needed to launch a startup is cheaper than ever, it takes more creativity than ever to break through. In this economy, only the wildly creative can survive.